Car buying shouldn’t be a stressful experience, and it doesn’t have to be. When consumers come to Kendall Chrysler Dodge Jeep Ram, they’re met with an experienced sales staff ready to serve. We’re committed to consumer satisfaction and will always look for ways to ensure our consumers turn into happy drivers every day. Whether looking for a new vehicle or a used vehicle, with top choice trucks, SUVs, vans, and sedans, we have what you’re looking for. Our sales staff is well informed and can answer questions about vehicles in our inventory. More interested in learning about vehicles yourself? 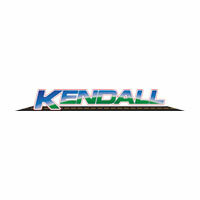 With a team curating all of the content for Kendall Chrysler Dodge Jeep Ram, we also have a blog full of information that gets updated weekly. Of course, you can always contact us if you wish. If you already know what you’re looking for, just fill out a form, and someone from our sales staff will contact you shortly with information and a quote upon request. We look forward to doing business with you!